Essential legislation to power low-carbon economic growth, to protect consumers, and to keep the lights on was introduced to Parliament by Edward Davey today. Following extensive consultation and pre-legislative scrutiny, the Bill sets out radical reforms to the design of the electricity market that will kick-start a renaissance in construction of low-carbon energy infrastructure and in low-carbon manufacturing supply-chains. “The Energy Bill will attract investment to bring about a once in a generation transformation of our electricity market, moving from predominantly a fossil-fuel to a diverse low-carbon generation mix. “This is the culmination of two years’ work in designing a new market-based approach that will deliver certainty for investors and fairness for consumers. “The challenge is big. Over the next decade, the investment needed to upgrade our energy infrastructure is almost half of the infrastructure investment needed in the UK. This is far more than is taking place in transport, in telecoms, or in water, and dwarfs the investment that was needed for the Olympics or Crossrail. “The Bill will support the construction of a diverse mix of renewables, new nuclear, gas and CCS, protecting our economy from energy shortfalls and significantly decarbonising our electricity supply by the 2030s as part of global efforts to tackle climate change. “This is an economic opportunity - there for the taking. It will stimulate supply chains and support jobs in every part of the country, capitalising on our engineering prowess and our natural resources, cementing the UK’s place at the forefront of clean energy development. Oversight of the nuclear industry will be enhanced through creating an independent statutory nuclear regulator, the Office for Nuclear Regulation. Ofgem’s role will be better aligned with Government priorities and strengthened to safeguard consumers. As part of this, energy companies will be required to pay compensation to consumers as well as to the regulator Ofgem. During the passage of the Bill, proposals will be added to ensure energy companies help consumers to get on the best energy tariff, and to promote energy efficiency through electricity demand reduction. Government will also take powers to set a decarbonisation range for the power sector for 2030, a decision to exercise this power will be taken once the Climate Change Committee has provided advice in 2016 on the fifth Carbon Budget, which covers the corresponding period (2028 - 2033). Government’s energy policy, set out in the Annual Energy Statement published today will help keep bills down in future, with current analysis showing that the average household bill will be 7% or £94 lower in 2020 than it would be without low-carbon energy policies being pursued* . To further safeguard the competitiveness of Energy Intensive Industries (EIIs) that are particularly exposed to energy costs, Government has agreed to exempt some EIIs from any additional costs arising from the contracts for difference. This proposed exemption will ensure the UK retains the industrial capacity to deliver a low carbon economy. The exemption will be subject to State Aid clearance from the European Commission. A new Government owned company will act as a single counterparty to the CfDs with eligible generators; This was a key recommendation of the ECC Committee, and has been welcomed by industry and investors. We also intend to develop a two stage process in which projects are able to apply for a CfD once they have cleared meaningful hurdles such as planning permission and a grid connection agreement, and then a small number of hurdles post CfD-award in order to retain the contract. Government is taking powers to introduce a Capacity Market, allowing for capacity auctions from 2014 for delivery of capacity in the winter of 2018/19, if needed, to help ensure the lights stay on even at times of peak demand. A Capacity Market will provide an insurance policy against future supply shortages, helping to ensure that consumers continue to receive reliable electricity supplies at an affordable cost. National Grid the System Operator is to be appointed to deliver the Electricity Market Reforms, including CfDs, administer the Capacity Market and provide analysis and evidence to Government. The Bill also provides Government with powers it may need to manage any conflicts of interest relating to this appointment. A Final Investment Decision Enabling (FID) Enabling process will enable investment in low-carbon projects to come forward for early projects, guarding against delays to investment in our energy infrastructure. Transitional measures will allow renewable investors to choose between the new system and the existing Renewables Obligation which will remain stable up to 2017. Government will take additional powers so that if necessary, they can promote greater competition and liquidity in the wholesale market. An Emissions Performance Standard (EPS) will curb the most polluting fossil fuel power stations, ensuring that any new coal fired power stations will have to have CCS fitted to be able to operate within limit. Government has already legislated to establish a Carbon Price Floor from April 2013, to underpin the move to a low-carbon energy future. Subject to Parliament, the Energy Bill is expected to achieve Royal Assent in 2013, so that EMR is fully up and running in 2014 as planned. The Bill has undergone a period of pre-legislative scrutiny by the ECC Select Committee since it was published in draft in May 2012. All provisions in this Bill extend to England and Wales, and the majority will also extend to Scotland (apart from Clause 119 - Nuclear decommissioning costs). A number of provisions also extend to Northern Ireland. The Energy Bill also contains: Proposals to enable the sale of the Government Pipeline and Storage System (GPSS); introduction of a Strategy and Policy Statement (SPS) to improve regulatory certainty by ensuring that Government and Ofgem are aligned at a strategic level; a technical amendment to avoid offshore wind generators constructing transmission assets falling foul of the law; and an amendment in respect of cost recovery for advice on the new nuclear waste and decommissioning financing arrangements; and a new power to enable Ofgem to provide redress to consumers. During the passage of the Bill, additional clauses may be added following on from a number of consultations. This includes: Proposals to reduce the number of energy tariffs that companies can offer (published 20 Nov); proposals to promote energy efficiency through Electricity Demand Reduction following on from consultation published today; a power to set a decarbonisation range for the power sector for 2030. The decision will be taken once the Committee on Climate Change has provided advice in 2016 on the 5th Carbon Budget which will cover the corresponding period (2028 - 2033), and once the Government has set that budget. Government reached an agreement last week on the spend on low-carbon electricity allowed by the Levy Control Framework (LCF) for 2020/21. The LCF budget is currently £2.35 billion for low carbon electricity in 2012/13. This will rise to £7.6bn in real terms in 2020/21 - a tripling of support (in real terms) for low-carbon energy. DECC will publish the updated annual assessment of bill and price impacts of our policies in due course. CfDs are available for investors in renewables , new nuclear or CCS. Government will consult on the first set of CfD strike prices - which largely determine the overall level of support - for renewables in mid-2013 and expects to be able to announce the 2013-2018 prices by the end of 2013 within the EMR delivery plan, giving developers up to a year of visibility of prices ahead of them coming into force in mid-2014. Government is minded to run the first Capacity Market auction in 2014. Capacity providers successful in this auction may be required to provide capacity from the winter of 2018/19. As a result of the EMR reforms, average household electricity bills are estimated to be around 5 to 9% lower over the period 2016 to 2030, compared to what they would be if a decarbonisation intensity of 100gCO2/kWh were achieved in 2030 through existing policy instruments. The Government is minded to implement the EII exemption through the CfD supplier obligation. The Department for Business Innovation and Skills will work closely with DECC to define the scope of the EII exemption, including who will be eligible, and the mechanics for delivering it. This will be subject to further consultation in Spring 2013, and dependent on state aid clearance. Annual Energy Statement - This sets out an overview on the progress the Government has made in implementing policy on energy and climate change over the past 12 months. Energy Bill Summary Impact Assessment - An overall assessment of the measures comprised in the Bill, including one-page summaries of costs and benefits from each of the individual impact assessments is being published alongside the Energy Bill. This will be updated in the New Year to incorporate the recent settlement made on the Levy Control Framework. Government Response to the Energy and Climate Change Committee . This responds to recommendations made in the Committee’s report following pre-legislative scrutiny of the draft Bill provisions on Electricity Market Reform. National Grid Conflicts of Interest consultation - Ofgem and DECC are jointly assessing the scale and extent of any conflicts of interest which might arise from conferring the EMR functions on National Grid, with final conclusions due to be finalised in spring 2013. Energy Security Strategy - This sets out for the first time a clear overarching analysis and policy framework for ensuring our energy security. The strategy looks at the short term through to the long term, from immediate risks of disruption such as accident or extreme weather, to future challenges of increasing competition for key energy resources and rising wholesale prices. 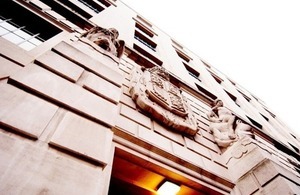 Statutory Security of supply Report - DECC/ Ofgem report on the availability of electricity and gas for meeting the reasonable demands of consumers in Great Britain. Ofgem Gas Security of Supply: Ofgem’s report gives us an up to date analysis of the risks to gas supply, and the resilience of our gas market to a range of stress tests under different future gas demand scenarios. It provides a high-level assessment of a wide range of measures that could potentially improve gas security. In light of Ofgem’s report, Government will be considering further whether there is a case for providing support for gas storage, and will publish our findings in Spring 2013. Government response to consultation on consumer redress - In April 2012, the Government consulted on a proposal to provide the gas and electricity regulator Ofgem with a new power to order energy companies which breach their obligations under their licences or relevant energy legislation to provide redress to any consumers who suffer financial loss or other detriment as a result of the breach. These would be known as Consumer Redress Orders. The government response to this consultation has been published today. Electricity Demand Reduction Consultation - This seeks views on a range of options to reduce electricity demand including market wide financial measures, financial incentives targeted at specific sectors and non financial approaches such as better labelling and information provision. The consultation closes on 31 January 2013.